Who is Allen Smith? It depends who you ask? Allen is referred to as the guy who will tell you the truth, even when you don’t want to hear it. He doesn’t pull any punches and just explains things as they are without concealing anything. He’ll steer you in the right direction, even if it’s not the direction you want to go in. Veteran Drivers say heis the kind of person who will stand up for what’s right and be a voice for many, always trying to better things for drivers and the industry. Friends and colleagues say that he cares as much as any when it comes to improving the conditions within the trucking industry. He goes the extra step to help drivers, students and trainees make sense of the insensible, expose the traps and deceit, guide the naïve and vulnerable, and support s his friends and those who are also helping to improve trucking. He loathes injustice and will do whatever he can to prevent and stop it. Trucking Companies and CDL Training Schools, depending on “which ones,” many will say that he’s an asset to them within the community because he “makes them look good,” separating them from poor quality ones. Others may say he’s a whistleblower, exposing many unscrupulous tactics or behavior engaged upon. One thing though that most will say is that the reason and motivation behind the man, Allen Smith, is driven by the desire to help others succeed within an industry that is many times associated with injustice, unrewarded sacrifice, and an undeserving lack of respect. Allen Smith is a 34 year veteran of the trucking industry, many of those years spent as an over the road driver. He has been an owner operator, a company driver, operations manager, and has owned and operated a successful cross country moving company. He wrote his first book, “The Truth About Trucking” in the year 2000 in order to enlighten and share the reality of OTR trucking for those who are entering trucking. The show has had many popular guests. One of the most memorable and influential guests that Allen invited on the show was Jeffrey Caldwell, Chief of Communications for VDOT. Donna had sent Mr Caldwell an email invite at 11pm the evening before the scheduled BTR broadcast. Early the following morning ,(the day of the show) Mr Caldwell accepted the invitation, eager to participate and help resolve the problems that truckers were being faced with. This was during the time when Virginia was closing down many rest areas and at the same time enforcing an old law of “ 2 hour parking” This created not just unsafe highway conditions by having tired drivers on the road, but was forcing these drivers to break the 11 hour HOS laws. It was during this show with guests Fred and JB Schaffner ( who together worked relentlessly to have the 2 hour parking law abolished) proved that the vision for positive and effective change was indeed a possibility to achieve for the benefit of the American driver. Allen has started the petition against the unfair and abusive practices of the DAC report employed by several companies against drivers. Allen has been a strong supporter for Jason’s Law, HR 2156, which would ensure the need for more safe truck parking. The bill was presented by Congressman Paul Tonko in 2009, who also was a memorable and influential guest on Allen’s Blog Talk Radio Show, “Truth About Trucking Live”. Allen and Donna worked with Hope Rivenburg (widow of murdered trucker Jason Rivenburg for whom the bill was named) and Congressman Tonko, playing a major part of the call to action for the National Call-In day to Congress. We are thrilled to say the 4 year battle has been won and that Jason’s Law is now in the Transportation Bill, MAP 21 as of 2012, ensuring more safe truck parking for the professional driver. In May of 2009, Allen was contacted by producer Robin Stein of the popular Dan Rather Reports Investigative television show. The Dan Rather group was conducting an investigation on CDL training schools. After a series of lengthy interviews, Allen directed Robin to Desiree Wood, who herself had contacted Allen a year prior because of her own horrific experience that she had endured during her CDL training . (Desiree has her Student Trucker Story on the AskTheTrucker blog which we encourage you to read) The rest was history as Dan Rather conducted a 3 part investigation of the corruption existing within many of the trucking schools and companies offering CDL training. Desiree was featured in the first episode, “Queen of the road”, and Allen was an invited audience participant speaking about the problems with CDL training for the second episode, “Truck Talk”. The 3rd episode aired not too long after, “Mind Your Loan Business”, which discussed in further detail much of the deceit existing among many CDL training facilities. Government regulations, starting with CSA and continuing on into EOBR’s, Hours of Service regulations, possible sleep apnea laws, speed limiters, the “driver shortage”, NAFTA, and of course the inadequacy of the present CDL training for schools and company programs have been a few of the targeted focuses recently. Allen and Donna have worked closely with Truckers Against Trafficking to educate the trucking community about how they can be a part of the solution to end the nightmares and atrocities that are occurring in our own country, many times in truck stops and travel plazas. Allen has also been in many publication including; Truckers News, Overdrive Magazine, The Examiner, Land Line Magazine, Challenge Magazine and Peoples World. 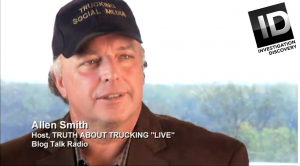 He and Donna were On Aprils 2010 Cover for the feature story, “Trucker Network” in Truckers News. He also has a growing newsletter subscriber list of over 5000, where he communicates weekly with his followers about many of the existing issues and developments within trucking. Allen also keeps in contact with his subscribers as he alerts them to BlogTalk Radio shows as well up to date current events. Our growing social media following alone is now approaching 35,000, and as the popularity of Social Media continues to grow in general, we anticipate that figure to double to double in 2015. 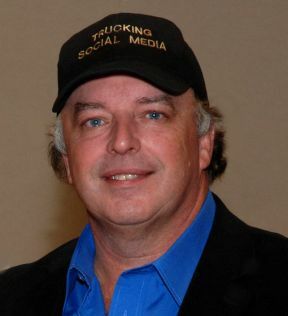 On October 15th 2011 in Tunica, MS, Allen and Donna hosted the ” First Annual Truck Driver Social Media Convention” designed to unite, support and recognize truck drivers for their sacrifices and accomplishments. Industry speakers and an open panel discussion will be the focus of the event allowing drivers to become informed and able to share their voices concerning the issues involving the trucking industry. Various trucking media attended, including OOIDA, LandLine Mag, and Truckers News. Journalists from BusinessWeek and the New York Times also attended. 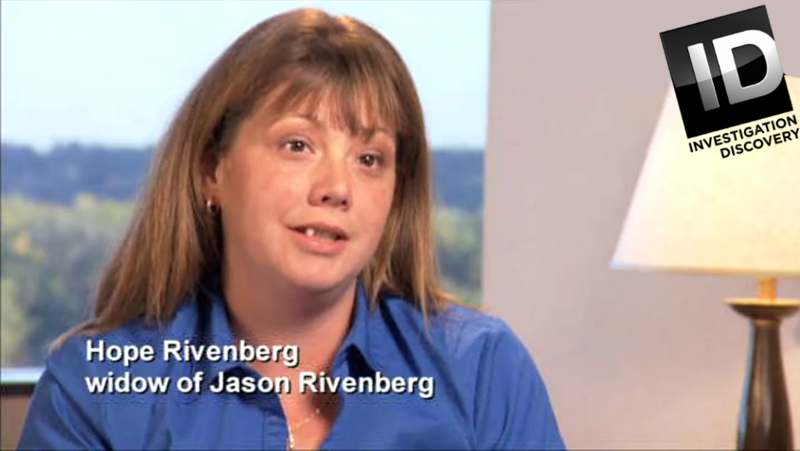 2011 Truck Driver Convention Highlight Video! The Following Year the 2012 convention was held in Kansas City, MO at Harrahs Convention Center. Trucking media again attended as well as the crew from the Discovery Channel where other advocates from the trucking industry were filmed, including Hope Rivenburg, advocate and crusader for Jason’s Law. VIDEO  2012 Trucking Social Media Convention Highlights! Hope Rivenburg of Jasons Law initiated the 2013 Truck Parking Survey hosted on AskTheTrucker Survey Monkey to present to DOT and Congress. Other active participants gathering data and conducting the survey included: Desiree Wood, Allen Smith, Richard Wilson, Andy Warcaba, and Sandi Talbott. Since the 2 conventions, Allen and Donna are known for utilizing Social Media as a powerful tool to reach thousands with a message. He and Donna created their “Circle of Trust”, maintaining Trust and Transparency, in order to bring others on board with their message and/or quality product or service to the trucking community. Their continually growing Social Media base is expected to double in 2015. Allen enjoys, writing, flying, playing guitar, writing songs, and martial arts. He’s a father, son, husband, grandfather, and a loyal and trustworthy friend to all who know him. We are an older couple…65yrs & 58yrs, what is the feasibility of pursuing, training and hiring options at our age? We have lost our commercial rental property in this economic downturn and are looking for a venue to recoup and continue productive lives. I would like to say as long as you are in good health, have a clean MVR/Criminal record and can pass the DOT physical, you won’t have a problem. However, we are hearing from many older drivers that say they are being pushed out by carriers. They use other reasons, but to them, it is obvious due to their age, especially with the CSA and all that is happening in the industry right now. Age discrimination is against the law of course, but the carriers will find “other reasons” to deny employment. Hello, I’m 51, single, and female. I’m considering changing careers and becoming a truck driver. 1st what are some good companies to work for? Or if you can’t answer that directly, what sorts of benefits and “perks” should I be looking for? 2nd. how much can i expect to make? I will do long trips. Do they pay better than local driving?. 3rd. Is it hard to find a job? I read above where some older adults were getting (or feeling) pushed out. I’m not really interested in becoming an owner operator at my age. I would probably rather just work for a good company. Frankly I live in the midwest, have a son in AZ and a Dad in Fl. I thought that maybe going cross country would give me an opportunity to see them both on a regular basis (maybe). Or at least if I were close enough they could occasionally come to me. I currently work a local job (not even related to the trucking industry) making around 30 grand a year. However, my pay will be cut in a few months and I’m looking at options. I have good health. I’m about as strong as any healthy 50 year old woman. Is me being a woman and somewhat weaker than a man a problem? Hi Allen. My name is Gary Brent, I recently came across your excellent website, “Ask the Trucker.” It sounds like we have a lot in common, I was in aviation before I chose to work for FedEx Express. The U.S. Secret Service to be Former President George H. Bush’s pilot in his Vice Presidential Campaign. I also held a U.S. Coast Guard Merchant Marine Captains License. I served in Chu Lai, Vietnam, and DaNang, Vietnam from 1969 to 1970.
emphasis on safety when teaching future drivers is what makes you an Effective Educator and True Professional, and I commend you for that. In 1993 I went to work for FedEx Express as a Driver Trainer and Safety Coordinator. In October 2012, I was terminated by FedEx for taking pictures of FedEx Ground Trailers and Express Tractors and Trailers. I was told by FedEx Upper Management, “We don’t want you quoting DOT Regulations to other drivers.” I was also told by FedEx Management, “Pay more attention to what you are doing, not what others are doing.” FedEx is a Corporation that places profits before human life.” Hopefully, my pictures and documents from numerous U.S. Government Agencies will be reviewed by the media and the U.S. Federal Courts. I stand by you 100% in all that you are doing to educate future Tractor Trailer Drivers’ and your efforts to enhance the image of the Trucking Industry. Thanks Gary, I really appreciate your comments and the industry needs more people like you to stand up and continue to work in raising the standards of the trucking industry. I read with interest your report of the Italian sleep apnea study and the comments by Stefanos Kales of Harvard Medical School. As a serious health and accident risk, sleep apnea should be identified and treated. But the issue should be taken further to include driver fatigue in general. This is why I believe that everything should be done to provide drivers with safe and restful rest periods that should include available and accessible truck parking and eliminating idling. I am not a driver but I have been in many truck stops filled with drivers taking their mandatory HOS rest period. It is incomprehensible to me that the conditions they are exposed to continue to exist. Sleeping in and among idling trucks is not a restful or healthy situation. Drivers are exposed to noise, vibration, and toxic diesel conditions. And let’s face it, they can be exposed to these conditions all day long. They cannot avoid them while on the road but they should be able to avoid them while parked and trying to rest. Since this parking environment is a result of federal regulations, as much as they are needed, they have the consequence of creating congested parking conditions along with a poor and unhealthy rest environment. Why isn’t the government helping improve the rest environment for truckers? I believe that they should and now is the time to do it. We are at a point where the country is addressing truck efficiency, sustainability, and parking. There are new CAFÉ standards for HD trucks, clean corridor initiatives, parking initiatives, and millions are being spent on new truck technologies including hybridization and even all-electric trucks. Are these new and more expensive trucks going to idle while parked? Really? Eliminating idling should be one of the components of increased truck efficiency, clean corridors, and providing a restful, healthy sleep environment. Everything should be addressed to help alleviate driver fatigue and driver health needs to be an important part of that discussion. It’s a two way street. Fatigue can cause poor health and poor health can cause fatigue. There was also a study that I think you also commented on that showed that truck drivers have a significantly shorter life span than the general public. Isn’t it possible that a poor rest environment and exposure to toxic emissions could be part of the reason? To tell you the truth, I don’t know how they do it. I have spent hours on the road but not day after day.…not for up to 11 hours and having to make critical decisions and dealing with stressful driving conditions….and not after trying to find a place to park, eat, clean up, and trying to sleep in a tin can. It’s time to tie all of these current trucking issues and initiatives into one over-arching campaign to improve driver rest conditions as a driver health and safety concern and as a public safety concern.